Max Savikangas (b. 1969) received his MMus degree from the Sibelius Academy, Finland in 1998 after extensive studies in composition with Anders Eliasson (SWE), Paavo Heininen and Olli Kortekangas, in viola performance with Matti Hirvikangas and Teemu Kupiainen and in music theory and electroacoustic music with Andrew Bentley and Jean-Baptiste Barriere among others. Additional studies included courses in composition with composers Jukka Tiensuu, Magnus Lindberg, Jouni Kaipainen, Kaija Saariaho, Jean-Claude Risset (FR), Trevor Wishart (UK), Jonathan Harvey (UK), York Höller (GER), George Crumb (USA), Adriana Hölszky (GER), Alvin Lucier (USA) and performance workshops with violist Maurizio Barbetti (IT) singer and percussionist David Moss (USA) and composer and guitarist John King (USA). Max Savikangas has composed 100 works of instrumental chamber music, orchestral music, vocal music, electroacoustic music and combinations of these. He is internationally recognized as a prominent composer, especially for his own instrument Viola. Compositions by Max Savikangas have been premiered—and most importantly performed again—extensively in Finland, and over the last decade his music has gained growing international attention, having been performed by various orchestras and ensembles in four continents (Sweden, Denmark, Norway, Iceland, Holland, Ireland, Belgium, Hungary, Poland, Switzerland, Austria, Russia, USA, Canada, Australia and South Africa). The Finnish Radio Symphony Orchestra commissioned an orchestral piece Whisked Whistle (2011) from Max Savikangas and gave the celebrated wold premiere of it in January 2012 at the Helsinki Music Centre with young Finnish conductor talent Santtu-Matias Rouvali. The Queensland Symphony Orchestra will premiere his newly commissioned Double Concerto for Trumpet, Double Bass and Symphony Orchestra (2015) on 17th of July 2015 at the Queensland Music Festival, Brisbane, Australia with internationally acclaimed soloists James Morrison (tr) and Edgar Mayer (db) and Santtu-Matias Rouvali as conductor. Max Savikangas writes: "I enjoy contemporary music with its constantly renewing challenges, improvising, listening to the world, experimenting with sounds—and composing. As a composer-musician I have wanted to expand the means of expression of my own instrument with new playing techniques and experimental live-electronics, which has led to studying these possibilities of other instruments as well. The seeds of my compositions often emerge as a result of (instru)mental improvisation, of savouring all kinds of sound events of the world and of tentavive computer sound processing experiments. As a rule, some of these spontaneous ideas thus found begin to lead a life of their own in my mind, ending up as the points of departure for my written-out and/or media compositions. I believe that timbre in contemporary music should be understood as an umbrella term, covering all components of a sound event; at best, different hoots, wails, hisses, gushes, whispers, crackles and buzzes are by no means effects or seasoning added afterwards to the music, but they are an organic and sensual part of expression." In many of his projects, Max Savikangas has been involved in multi-disciplinary artistic co-projects utilizing new technology. Max's largest work so far is the 7-hour electroacoustic sound installation entitled Hammer, Anvil, Stirrup (2005), which was nominated as one of the Finnish Composers' Copyright Society Teosto Prize 2005 winner candidates. His radiophonic work Crash (2013) was nominated as a Prix Italia 2014 candidate by the Finnish Radio Broadcasting Company YLE and his Abendlanmusik (2014) for Double Bass and electronics (written for the HD video installation Abendland (II: The Place That Was Promised) by Finnish artists group IC-98) was nominated as an Ars Fennica 2014 Prize candidate. Max Savikangas has been also awarded many important grants for his artistic work from e.g. The Arts Promotion Centre Finland, The Finnish Cultural Foundation, The Sibelius Fund and the Kone Foundation. Max Savikangas is member of the Society of Finnish Composers and the Interdisciplinary Artist Association MUU, Finland. 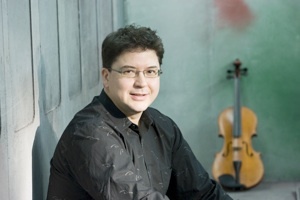 He was appointed as honorary member of the Finnish Viola Society having served as its President during 2008–13 and he was also appointed as the executive secretary of the International Viola Society Presidency for the terms 2008–11 and 2011–14. As a performer Max Savikangas concentrates mostly in contemporary music. He is a founder member of the Helsinki based Uusinta Ensemble (with the Uusinta String Quartet in its core), which is in growing international demand, having premiered with the group more that 100 new compositions in 159 concerts over the last 15 years. Max plays on a new viola model which he has been developing in collaboration with the Finnish luthier Pekka Mikael Laine since 1998, applying computer spectral sound analysis and new varnishing techniques.